I once used to have very biased views on traditional Christianity and the Catholic Church, which through direct experience and meditation have gradually vanished. Prejudices towards Christianity are quite common for many seekers I meet on the path. Some of them, although born in Christian countries, hardly have any notion about Christianity apart from what they have heard or read in alternative spiritual environments and some pallid childhood memories. While I realise that many seekers do not resonate with the rigid fundamentalism and arid theology that they perceive in certain aspects of Christianity, this does not mean that the baby has to be thrown out with the bath water. As a matter of fact, learning to discriminate between the baby and the bath water is the crucial lesson in forgiveness. And if we become fundamentalists towards what we perceive as being fundamentalism this is surely not going to help. There is no way in which we can manage to tread on the healing path unless we cease to condemn one another or focus on what we perceive as wrong in others. Seeing the Face of Christ (meant as our highest central collective spiritual identity) in all our brothers and sisters is the goal of A Course in Miracle, a most acclaimed New Age text, yet since much earlier times also of traditional Christianity. When I face strong grievances in one tradition, just as with my family or a friend, the first temptation is to criticise or leave that tradition, family or friend, and find alternative ones. On a spiritual path grievances are part of the package and it is inevitable that I will encounter them no matter where I am or go. At the same time God goes with me wherever I go, which implies that unresolved grievances continue to follow me until they are cured with the help of God. 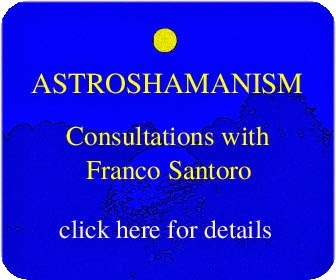 Now and then for educational purposes it can be beneficial to leave one’s tradition, family or friend, in order to explore alternative expressions of grievances and cures. And perhaps the most relevant learning in this respect is to realise in the end that there is only one grievance and one God. The grievance is separation, or the absence of Love, and the God is Unity, or the presence of Love, whose healing aid is forgiveness. Traditional Christianity provides abundant references as regards forgiveness. One of the most significant and widely known appears in the New Testament and is the trilogy of the Parable of the Lost Sheep, the Parable of the Lost Coin and the Parable of the Prodigal Son. The latter parable appears in Luke 15:11-32 and tells the story of a man with two sons. The younger claims and gets the share of his inheritance while his father is still alive, and then moves to a remote country, where he squanders all his resources. He then suffers misery and hunger, until he comes to his senses and decides to return home. “I will set out and go back to my father and say to him: Father, I have sinned against heaven and against you. I am no longer worthy to be called your son; make me like one of your hired men.” So he returns home to his father and “while he was still a long way off, his father saw him coming. Filled with love and compassion, he ran to his son, embraced him, and kissed him.” The son says: “Father, I have sinned against heaven and against you. I am no longer worthy to be called your son.” Yet the father does not pay any attention to his words and in full excitement calls his servants and says: “Quick! Bring the best robe and put it on him. Put a ring on his finger and sandals on his feet. Bring the fattened calf and kill it. Let's have a feast and celebrate. For this son of mine was dead and is alive again; he was lost and is found.” Hence they all begin to celebrate. This story is most touching because many of us can identify with the Prodigal Son, and feel God as an unconditionally loving father. Here forgiveness comes instantly. The father is not at all interested in hearing the confession and repentance of his son. All he wants is celebration. A conventional idea about forgiveness is that it can only come after a full confession of all sins, payment of indemnity through sufferance or other compensations, guarantee that the sin will not be committed again and a time of test aimed at proving the penitent. This is the idea of forgiveness that is often projected upon the Catholic Church or other traditional denominations. Yet it is an outmoded concept, which was definitely released since the Second Vatican Council and does not apply anymore to the Church, at least officially. 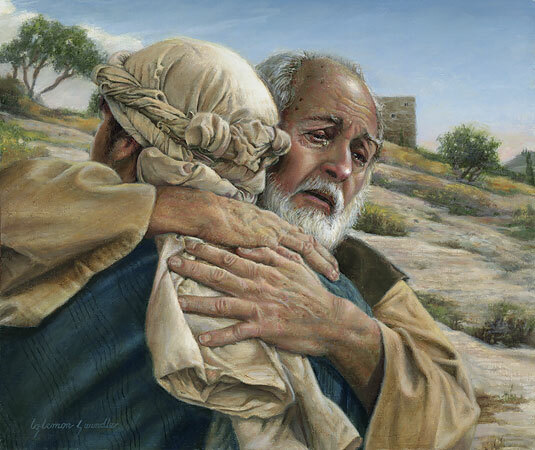 What is more striking in the parable is the fact that when the father sees his son arriving far away, he rushes to meet him with embraces and kisses. He is not interested to hear any confession or word or repentance. What counts is that the son has returned. He does not need to implore any forgiveness since he has already been forgiven. What is unveiled here is a loving God who sees us as sinless. As far as he is concerned there is nothing to forgive. Here forgiveness depends on our own initiative to return to God, and not on God’s mercy. In a Catholic church I was once amazed to listen to a bishop mentioning a rather unorthodox reference to forgiveness. 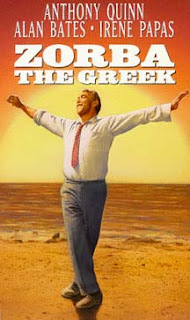 This was not from the Bible or a Christian text, but from Zorba the Greek, the famous novel by Nikos Kazantzakis, made also into a very popular movie starring Anthony Quinn. Zorba is a most vibrant and earthy old man incorporating the orgiastic spirit of Dionysus, the archetype of ecstasy, sensuality and exuberance. When I was an Osho sannyasin I often heard Osho talking about Zorba as the model of the new man and his unorthodox spirituality in contrast with ordinary religion. For Osho the new man is Zorba the Buddha, a combination between Zorba the Greek and Gautama the Buddha. “He will be Christ and Epicurus together. Religion failed because it was too other-worldly. It neglected this world. And you cannot neglect this world; to neglect this world is to neglect your own roots.” (Osho, The Times of India, 8 June 2004). 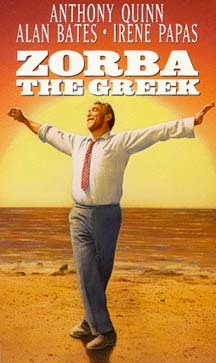 Hence I was astonished to hear about Zorba in a bishop’s Catholic homely. "I think of God as being exactly like me. Only bigger, stronger, crazier. And immortal, into the bargain. He's sitting on a pile of soft sheepskins, and his hut's the sky. […] In his right hand he's holding not a knife or a pair of scales - those damned instruments are meant for butchers and grocers - no, he's holding a large sponge full of water, like a rain cloud. […] Here comes a soul; the poor little thing's quite naked, because it's lost its cloak - its body, I mean - and it's shivering. [...] The naked soul throws itself at God's feet. 'Mercy!' it cries. 'I have sinned.' And away it goes reciting its sins. It recites a whole rigmarole and there's no end to it. God thinks this is too much of a good thing. He yawns. 'For heaven's sake stop!' he shouts. 'I've heard enough of all that!' Flap! Slap! A wipe of the sponge, and he washes out all the sins. 'Away with you, clear out, run off to Paradise!' he says to the soul. […] Because God, you know, is a great lord, and that's what being a lord means: to forgive!" What both the Prodigal Son and Zorba have in common is the stress on unconditional love and the discount of sorrowful penitence. This can cause grievances and uneasiness for those who see forgiveness in relation with pain and sacrifice. What can be difficult to accept is the idea of a God who loves unconditionally, without expecting anything in return. This triggers the contrast with the love that comes only as the result of having done something to deserve it, a love that depends upon measuring the quantity of sins and good deeds. Yet God’s love is not calculating, it does not hold a knife or a pair of scales like a butcher or grocer, as Zorba puts it. His love comes free of charge, no matter whether we believe to be worthy of it or not. And even if we refuse to receive this love, it will continue to be available for us until we choose to accept it. What triggers the awareness of this Love is simply the act of facing God and choosing not to hide from Love anymore. The entrance is free of charge, yet in order to enter I need to agree to enter. It is the Prodigal Son’s decision to return home, and not his words of repentance or compensations that activate that Love. The son does not have to explain or prove anything to his father to receive his love, yet if he continues to hide from his father he will never receive it. And as soon as the son decides to return, even if he is still a long way off, his father sees him and runs to him, embracing and kissing him, and setting up celebrations. Forgiveness is a celebratory act, a rejoicing feast that involves all who have been on the same journey of the Prodigal Son. It encompasses both the unseen vertical axis, or multidimensional reality, and the horizontal level of our human separated reality. Having experienced unconditional love through the vertical connection with God, we are given the power to expand it horizontally, forgiving ourselves, and all our brothers and sisters, everyone and everything, as part of this communal web of life. This is the sublime banquet of forgiveness to which all are invited. I would like to share now a story on the same theme drawn from my direct experience and memories. Two years ago I was surfing the internet in search of songs to play during a workshop. I was running the workshop The Blessed Way of Passion, which by the way is also the workshop I am currently holding at the Findhorn Foundation from 16 to 23 April 2011, and I wanted to find songs about blessing. 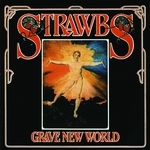 I found various songs, yet there was one that particularly drew my attention: Benedictus by the Strawbs, an English folk rock band of the late 60s-early 70s. I immediately downloaded an excerpt. As soon as I heard the first notes, it all sounded very familiar. I checked the information details and, upon seeing the album artwork, retrieved an elapsed episode in my life. It happened in autumn 1971, when I was 14 and about to start high school. In those times I was fascinated by British pop music. Truly, rather than the music itself, to which I hardly had the chance to listen, what attracted me was the mystery evoked by the album artworks and the titles of the song. Since my English was extremely poor I didn’t have any clue about what they meant, and this added to the mystery. I regularly visited the record section of supermarkets and spent a lot of time browsing through the records. One day I was enraptured by the cover of a single. Its captivating pull was such that I could not let go of it. I realised that I had left my purse at home and did not have any money with me. Yet the lure had totally trapped me and all I could anxiously think of was how to steal the record. Once the tension reached its climax, I swiftly put the single under my sweater and walked out. I ran for a while, and then I stopped sure that nobody was chasing me. As I did so, two sturdy guards emerged shouting at me. It was too late to escape. They grabbed me and conducted me to the supermarket office. I was threatened, intimidated and pressed to confess whether I had stolen other items before. Then they told me that they would first call my parents and then the police. I implored them not to call my parents, yet there was no way to convince them. It was like a crucifixion, with the difference that instead of being Jesus I was one of the thieves, and moreover Jesus was not even there, which meant no chance of being saved. The scene of the officer calling my father was the most shocking I had ever experienced. As the officer explained what had happened I could sense ice moving through my veins. There was no way in which I could try to justify or make sense of my misdeed. What a disgrace for my family! Moreover we were not poor at all, and I had money to buy all the records I wanted. Finally my father arrived. His face was white as a nuptial sheet, well… I mean a nuptial sheet before a newlywed couple lies in it. After a long series of degrading remarks that my father had to bear, the officer decided not to call the police and, following the payment of a fine, allowed us to leave. My shame was paralysing. I do not recall whether I babbled a few words or not. What I do remember was my father’s silence, which rendered the situation even more dramatic. I envisaged the design of most severe punishments and admonishments, while I plummeted to my doom, prepared to bow to any verdict. “Don’t tell anything to your mum.” He did not add anything else, nor did he require any explanation. He did not express any verbal or non-verbal reproach. He simply continued to be silent until we arrived home. Through his silence I could heed the most loving poetry, blessing my heart as a gift both from Heaven and the Earth. When we finally arrived home and met my mum, he behaved ordinarily as if nothing had happened. He never referred to this episode again. As I write all this I realise I am now revealing a secret, which I trust is a legitimate act since both my beloved mother and father are not in this world anymore. After having blessed me with Their physical presence and taught me how to see Their Face, They have left me in the care of my divine Father and Mother, who support me, protect me, and direct me in all things. Their care for me is infinite and stays with me forever. I am eternally blessed as Their Son. And what about the record? Since the mere idea of it was enough to make me shiver I kept it hidden in a drawer until, after several months or perhaps some years, I found it by accident. I then played it and loved the music and the voice, yet I did not understand the words, nor did I have any clue what the song was about. I believe the record went lost since I have not seen it around for at least 30 years. When two years ago I listened to that song again, I could finally understand the lyrics. You can find the music and the lyrics below, which is what concludes this blessing trilogy on forgiveness. Wish you a most luminous Holy Week. Distant is the shadow of the setting sun. Bless the rain / Bless all those who cause us pain. While his resolution holds / Fortune and good will will surely follow him. Bless the soldier / Bless the saint / Bless all those whose hearts grow faint. What a beautiful, inspiring story, thank you!